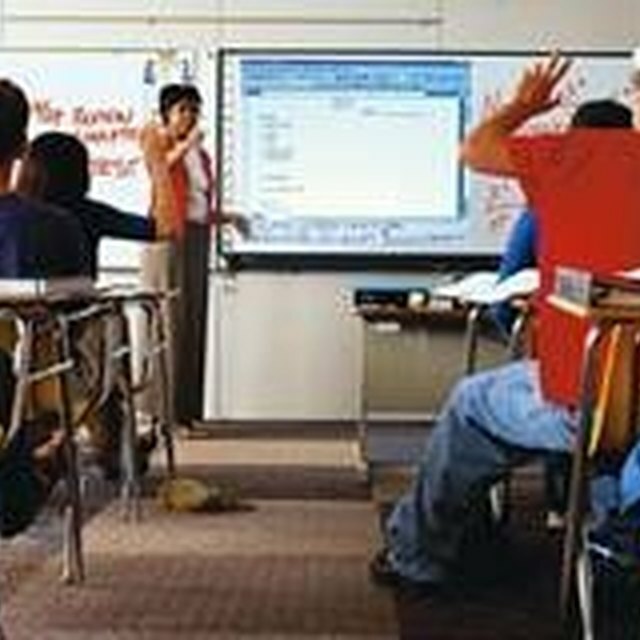 The Promethean ActivBoard encourages student participation. The Promethean ActivBoard, an interactive whiteboard, incorporates digital content into ordinary lesson plans. This digital whiteboard provides educators with online resources, classroom tools and sample lessons. 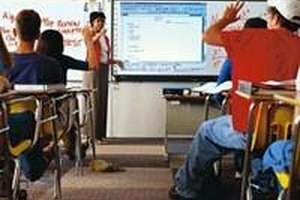 The Promethean ActivBoard allows educators to create engaging lesson plans, increase student participation and perform high-tech presentations. It features a high-quality, low-glare screen, wireless ActivPen and lesson plan development software. Insert the ActivBoard installation CD into your computer's CD-ROM drive to begin the installation wizard. Click the "All Resources" option on the installation menu. The wizard will begin automatically and will guide you through the necessary steps of the installation. If your computer does not automatically run the program, click on "My Computer," then click on "D Drive," followed by "Menuxe." Follow the on-screen instructions until you see the "Installation complete" message. Enter your serial number and ActivBoard user name found on the back of the installation CD case. This will validate the program and complete the installation. Connect the USB cable to the input on the side of the ActivBoard. 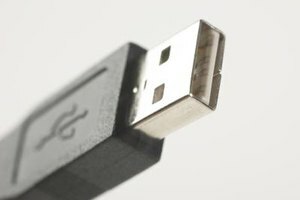 Plug the other end of the USB cable into an available USB port on your computer. This will connect the two devices and turn on the ActivBoard. Disconnect the monitor cable from your computer. Plug the LCD projector cord into the computer monitor port, then connect the other end of the cord into the LCD projector input port. Plug the black power cable into the serial port cable attached in Step 4. Plug the other end of the power cable into an electrical outlet. You will see a blue light and a red blinking light, indicating the ActivBoard is powered and ready to use. Plug the LCD projector into an electrical outlet and turn it on. The projector will display your computer's desktop image onto the board. Position the projector in front of the ActivBoard. Adjust the focus and lens to center the image on the center of the board—the corners of the screen should match up with the corner markers on the ActivBoard. Calibrate the ActivBoard to use the pen with the board. 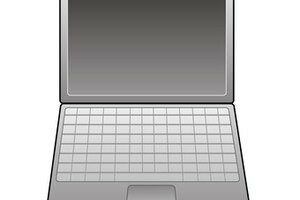 Hover the pen over the gray dot in the upper left-hand corner of the screen. Wait for the board to beep, then follow the on-screen directions to calibrate the screen. You can alternatively right-click on the ActivManager icon, located in the bottom right-hand corner of the screen, and select "Calibrate." Follow the on-screen instructions to successfully calibrate the screen. Use the ActivPen the same way you use a mouse; the tip of the pen—the nib—acts as the left mouse button, and the orange button on the body of the pen acts as the right mouse button. To double-click an application, simply press the nib of the pen to the screen until you feel a rapid click twice in a row. To right-click, press the orange button on the body of the pen, then press the nib to the screen. Launch the ACTIV Studio for the first time by double-clicking the desktop icon. Select "Add," then type in your user name. Click "Advanced Resources" then click "OK."
Click on the "Flipchart" button to create a new flipchart—your whiteboard space. This will create a new full-screen flipchart where you can write and draw, just like a standard whiteboard. Use the nib of the pen to click the pen tool under the Main Toolbox. Use the end of the ActivPen that looks like a standard pen tip to write in the white space on the board. Change the color by touching the nib of the pen to the desired color in the color palette section of the Main Toolbox. Choose a variety of colors by right-clicking one of the colors from the Main Toolbox. This will open up a wider color spectrum for you to choose from. Click on the desired color and make sure the pen tool is still selected, then begin writing again. Adjust the thickness of your strokes by clicking the desired number under the Fixed Pen Width, or by sliding the Fixed Width Slider. Select the "Eraser" tool and hover the cursor over the flipchart page to correct mistakes. Press the pen over the item, then drag it to erase the mistake. You can also reverse mistakes by clicking the "Undo" tool under the toolbox. This reverses the action you just performed. Click "Redo" to re-apply your action. Remove all marks from the whiteboard space by clicking the "Clear Screen" button under the toolbox. Click the "Recognition" tool, which looks like a hand, on the Main Toolbox. Make sure the "On/Off" button is illuminated green, indicating the tool is working. Set the tool to recognize letters instead of shapes or numbers. Set the slider halfway to decrease the delay between your handwriting and the converted text. This function will automatically convert your handwriting to text. Rayne, Madison. "How to Use the Promethean ActivBoard." Synonym, https://classroom.synonym.com/use-promethean-activboard-8683273.html. Accessed 25 April 2019.